Fudge Iced Brownies are soft and chewy made with cocoa power, butter, and eggs, topped with chocolate icing, and ready in under 60 minutes! These classic brownies are a tried and true favorite just like our favorite Chocolate Chip Cookies, Vanilla Pound Cake, and Easy Chocolate Cake. 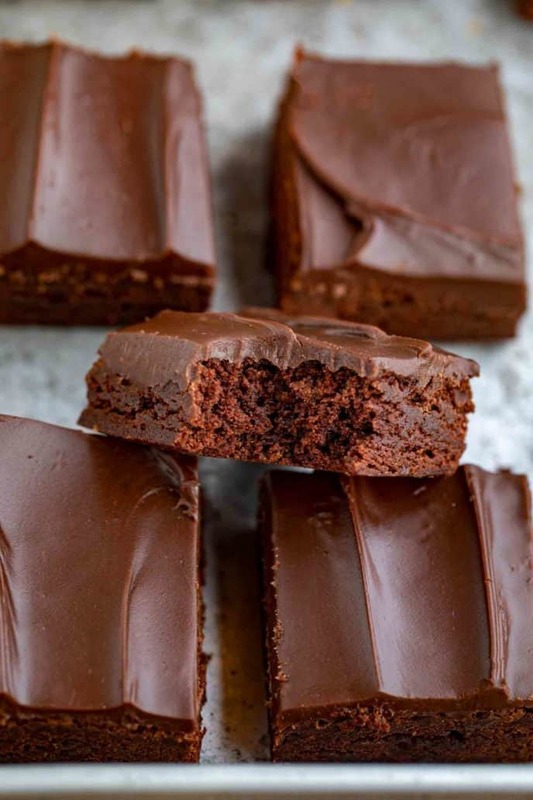 Fudge Iced Brownies are one of my go-to brownie recipes, because they’re super fudgy, chocolate-y, and incredibly EASY to throw together in less than an hour. These are topped with a creamy, indulgent, fudgy icing that throws these homemade brownies into a totally different league than store-bought brownies. You’ll want to make this a regular weekend tradition! Fudge brownies should be stored on the counter (room temperature) in an airtight container. If you cut the brownies into squares, they’ll keep for about 2 days. Wrap each square in plastic wrap to help them stay fresh for even longer. If you haven’t cut them yet, they’ll last 3-4 days before going stale. 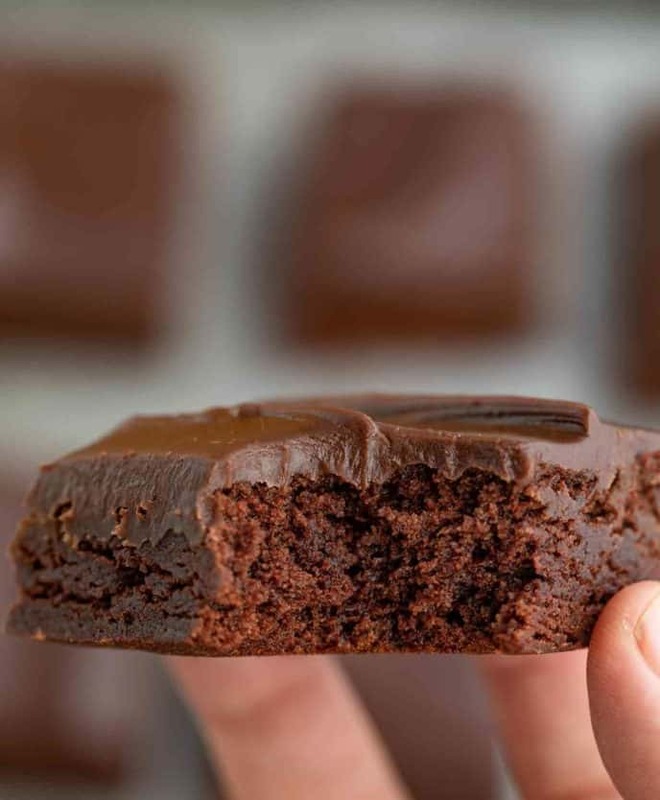 Fudge brownies can be frozen pre or post cutting into squares. Wrap tightly with plastic wrap, then tinfoil to keep any air out. Brownies will keep in the freezer for about 3 months. Fudgy brownies use more fat than flour in the recipe. You can make brownies more cake-like by using less butter and adding flour. Or on the other side, you can make cakey brownies more fudgy by adding more butter or oil and less flour. WHY ARE MY FUDGE BROWNIES DRY? If your brownies are turning out dry instead of fudgy, it’s possible that your brownie recipe contains too much all purpose flour or dry ingredients and not enough moisture. If you’re following my brownie recipe which is tried-and-true, then your brownies may be over-baked. Check your oven temperature, and set a kitchen timer to make sure they come out on time. The usual clean-toothpick trick doesn’t necessarily apply to brownies that are fudgy. 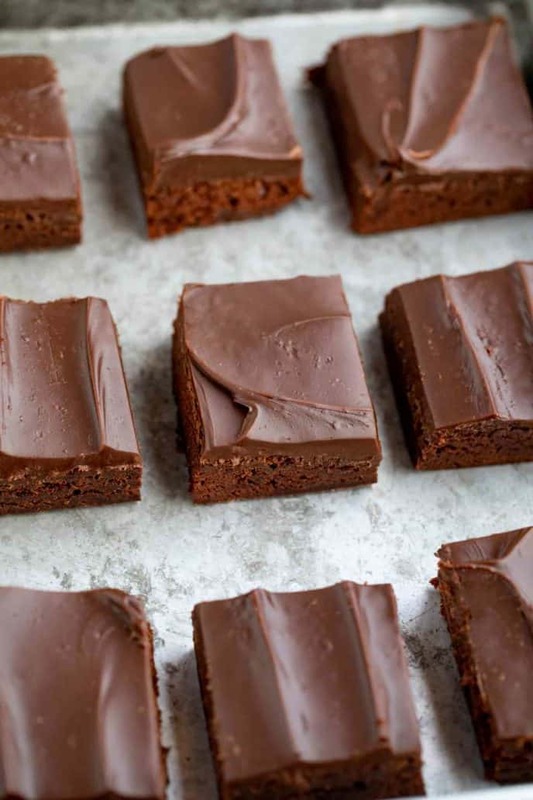 If you insert a toothpick into the middle, I would make sure there is no obvious raw batter, but a few crumbs are ok. Fudgy brownies naturally have more moisture, so they won’t behave exactly like the cakey version. Try serving these brownies while they’re still warm with a scoop of vanilla ice cream on top, and some extra chocolate chips. 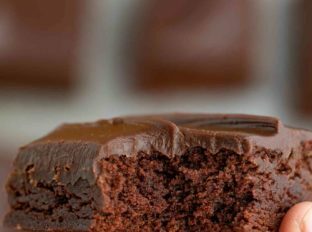 You can use dark chocolate cocoa powder or regular dutch-process cocoa powder for this brownie recipe, depending on how intense you like your chocolate flavor. If you’re adding cocoa powder to another recipe, keep in mind that cocoa brownies can be on the dry side so you may need to add more fat to the recipe. Add 2-3 tablespoons of chocolate chips to the batter for some melted chocolate pockets in your brownies. 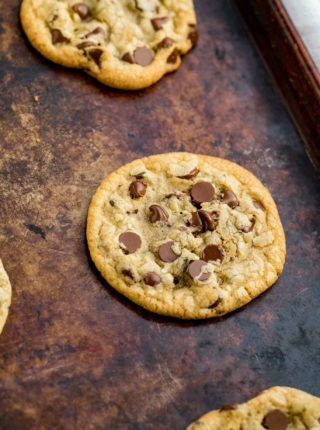 Try dark, milk, or even white chocolate chips. Also, sprinkle a few chocolate chips on top of the brownies for decoration. 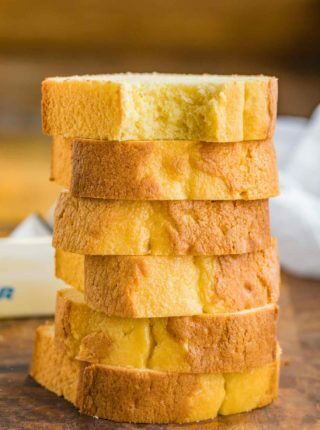 Make these gluten free by substituting with a gluten free cup-for-cup all purpose flour. Make these brownies non-dairy by substituting the butter with applesauce, and using a dairy free cocoa powder, along with a non-dairy icing. Decorate your fudgy brownies with a drizzle of melted chocolate, peanut butter, caramel sauce, or melted marshmallows on top. Melt for 30 seconds at a time in a microwave-safe bowl, stirring between, until smooth. Or use a glass bowl on top of a water-filled saucepan to make an easy double-boiler. Sub 1/2 cup of the white sugar for brown sugar for a darker more molasses-like flavor that goes really well with the fudgy chocolate in this brownie recipe. If I’m in a really chocolatey mood, I’ll make a double batch of the fudgy icing so each serving is twice as chocolatey! 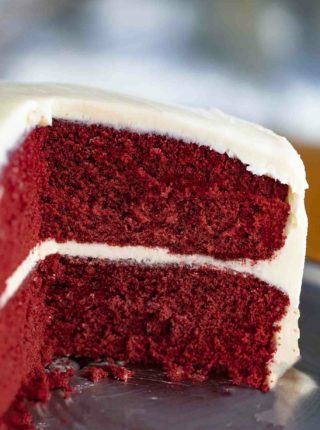 If your icing isn’t smooth enough, you can add a few drops of coconut oil to help with its appearance. Butter and cocoa powder the bottom and sides of a 9x13 inch baking pan. In a large bowl whisk the melted butter and sugar until sugar is dissolved and the butter mixture has cooled (about a minute) then add in the vanilla and eggs. Sift together the flour, baking soda, cocoa, and salt and add to the large wet mixture, whisking until just combined. While the brownies are baking, add the milk, butter, sugar and salt to a medium pot on medium heat and bring to a boil for 30 seconds. Remove from the heat and whisk in the chocolate until smooth then add in the vanilla whisking again and let it cool for at least 10 minutes before pouring over the brownies and smoothing with a spatula. Oh yum. I’m with you- I like my brownies on the fudgie end of the brownie spectrum. These look perfect. 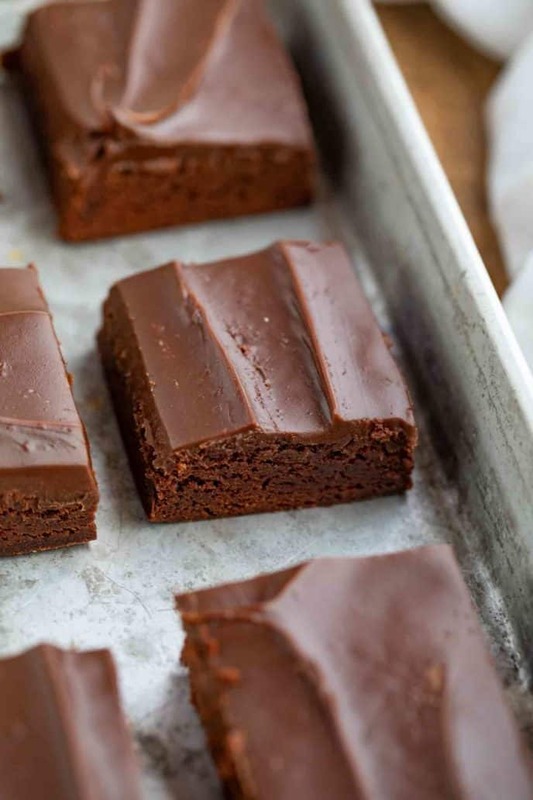 Whoah, these brownies almost look too good to be homemade! Now I’m craving brownies!! YUM! Wow, these look so fabulous. I would be in trouble alone with a whole batch. 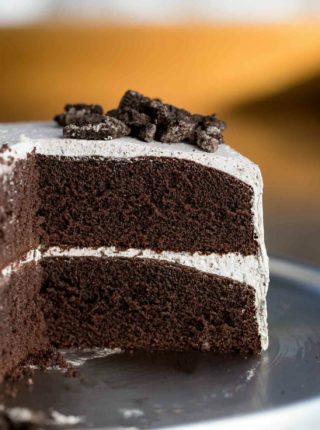 That icing is calling my name! Very tempting to want to eat them all! Haha, it takes great restraint!